Whatever you think of the Washington Redskins’ nickname, one thing is certain: the language and logic in National Football League commissioner Roger Goodell’s recent letter to Congress defending the moniker sounds familiar. Very familiar. For each item, correctly identify the subject it refers to: Confederate flag or Redskins’ nickname? 1. Redskins nickname. From Goodell’s letter to Congress. 2. Confederate flag. From a letter penned by Ben Jones, the actor who played mechanic Cooter Davenport on the “Dukes of Hazzard” television show. No, really. 3. Redskins nickname. From Goodell’s letter to Congress. 4. Confederate flag. From then-South Carolina state representative Joe “you lie!” Wilson in 2000. 5. 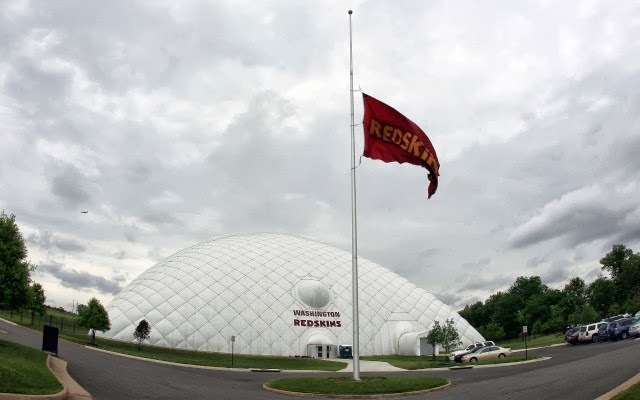 Redskins nickname. From Goodell’s letter to Congress. 6. Confederate flag. From a 1996 speech by former South Carolina Gov. David Beasley. 7. Redskins nickname. From team general manager Bruce Allen. 8. Confederate flag. From a Facebook post by Lynyrd Skynyrd guitarist Gary Rossington in which the band backtracked from a previous pledge to stop displaying the flag at its concerts. 9. Confederate flag. From a Florida barbershop owner who flies a Confederate flag at his workplace. 10. Redskins nickname. From ALL CAPS-loving team owner Dan Snyder.